DSV has announced plans to open a warehouse facility on Zealand in Demark. 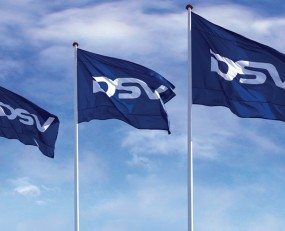 The planned warehouse facility of more than 150,000 m sq will become DSV’s largest hub in Northern Europe, and thereby a future gateway from Denmark to Scandinavia. The construction of the new facility is currently underway and is no more than a few hundred metres from DSV Headquarters, and the first of four new buildings is expected to be open for business early 2020. The hub will be a short distance to a nearby port, airport and a rail terminal, which DSV hopes will ensure more efficient supply chains into the new logistics hub. Outgoing logistics to Scandinavia is ensured through DSV’s own network with around 500 trucks on regular routes from Denmark to Sweden, Norway and Finland.